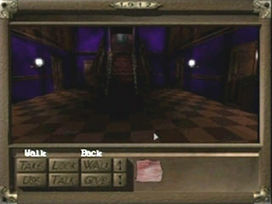 Ocean Depths was the first game release by Lars Hannig for the Atari Jaguar CD. It was a compilation featuring a relaxing slideshow of underwater environments (hence the name), a Mastermind-like game and most noteworthy, an early tech demo of the upcoming gothic fantasy adventure "Eerievale". Most users purchased Ocean Depths for the exclusive playable demo of "Eerievale". It was the exact demo that was shown on Euro JagFest 2003 when the project was first mentioned and thus allowed fans all over the world to imagine what the game would be like. Today "Eerievale" has developed into a name of its own. Based on a gothic fantasy novel, a professional graphic adventure game is in development. It is still coming to the Jaguar, too. 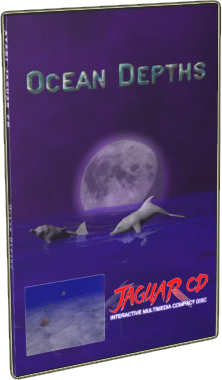 Ocean Depths was one of the first homebrew Atari Jaguar CD game releases to run on standard units, as it was fully encrypted. It also was the first release to have mouse support, using a custom made adaptor.